Get ready to experience sixteen comedies, eleven tragedies, ten histories and assorted sonnets, all brought to you by three zany actors in 97 side-splitting minutes. 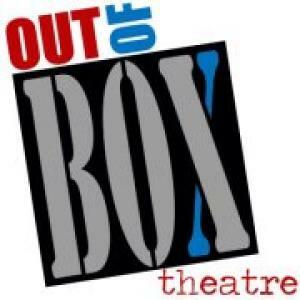 “The Complete Works of William Shakespeare (abridged) [revised]” returns to Out of Box Theatre September 26 - October 11. “The Complete Works of William Shakespeare” is directed by Out of Box’s Artistic Director Carolyn Sheppard Choe and features award-winning (well, if 5th grade theatre participation awards count) actors Bob Smith, Amy Cain and Jeffrey Bigger. All the world’s a stage as these three merry gentlemen (and one "lady") in tights attempt to portray every work ever penned by the venerable Bard. The three roles in the show can simply be described as the scholar (Bob Smith), the dolt (Amy Cain), and the female stand-in (Jeffrey Bigger), although the doltish behavior seems pretty well spread around in this production. The three blend well in their scenes, except in an Othello rap number where the aptly named Mr. Bigger out-projects Mr. Smith, even in his non-verbal beats, with the contrast in volume making the lyrics more difficult to follow than they should be. The fun quotient, though, is as strong in the Othello sequence as it is anywhere. Costumes are good, as is Joel Coady’s light design. As for the wigs and wigs and wigs and wigs – well, they fly on and off the actors’ heads in a giddy pace. Numerous props get a pretty good workout too. Morgan Brooks’ scenic design places Shakespeare-inspired, colorful cartoon drawings on the back wall, framing the velvet-curtained center entrance. It all works together with the ABBA pre-show music to give a ditzy disco feel to the whole shebang.